If you enjoy woodworking, then you will love Warton Woodworks Carpentry and Joinery Blog. 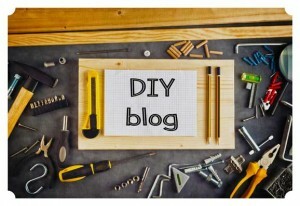 This blog is not limited to these topics, as it actually covers many DIY related activities. Many of our articles are step by step guides, showing images of real projects, most from completed customer jobs. Tongue and groove joint projects. Mortice and tenon joint projects. General household carpentry such as skirting board installation and door hanging. General home DIY related articles which cover other trades, such as plumbing and electrical jobs. Warton Woodworks carry out many home joinery projects. 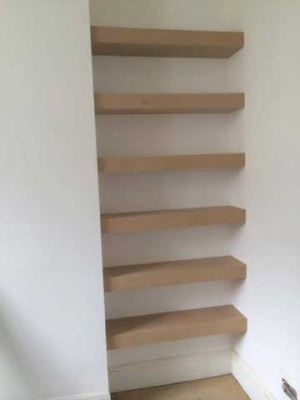 Below we custom fit these beautiful shelves. This was a great storage space for our customer. 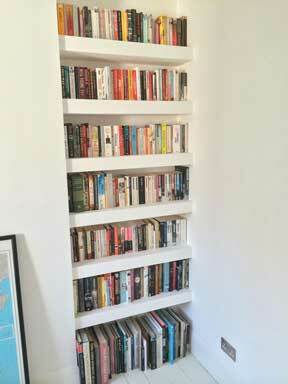 He was able to stack many books on these shelves. When it comes to installing new skirting board, people can underestimate the work involved. Most have no idea what a scribe cut is, shown below. 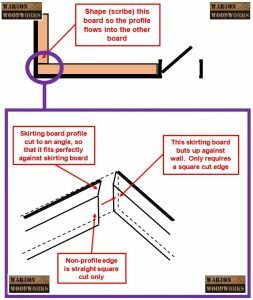 You can read step by step how to install skirting board here. In my personal time I love to construct oak furniture products. So far I have custom made a table and double bed. I enjoy the challenge of making my own bespoke solid oak furniture. 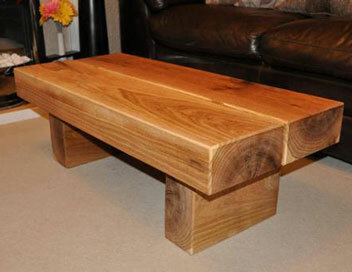 If you are interesting in buying oak furniture I have made, please visit my Oak Furniture page. All oak furniture I make is constructed from the finest green oak. Oak is a beautiful wood, each piece having its own unique grain pattern. 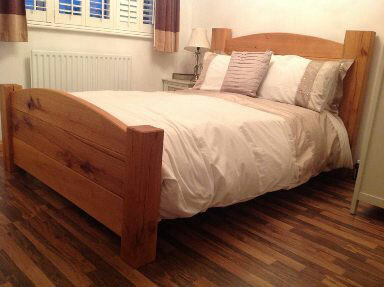 Solid oak furniture lasts for years if looked after. 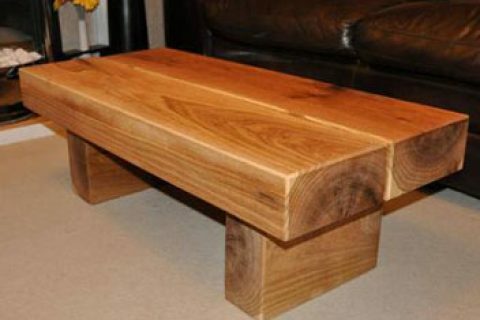 Below are some images of oak furniture I have made. 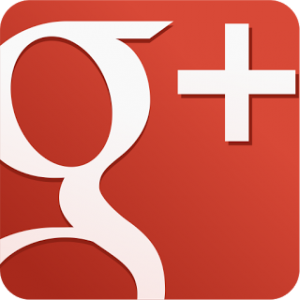 Are you looking for an excellent Joinery Blog? If so, then you have come to the right place.